Reflect Space Gallery of the Glendale Public Library (just north of downtown Los Angeles) will hold an exhibition of work from May 29 to July 8, 2018, that focuses on the Japanese-American internment during WWII. 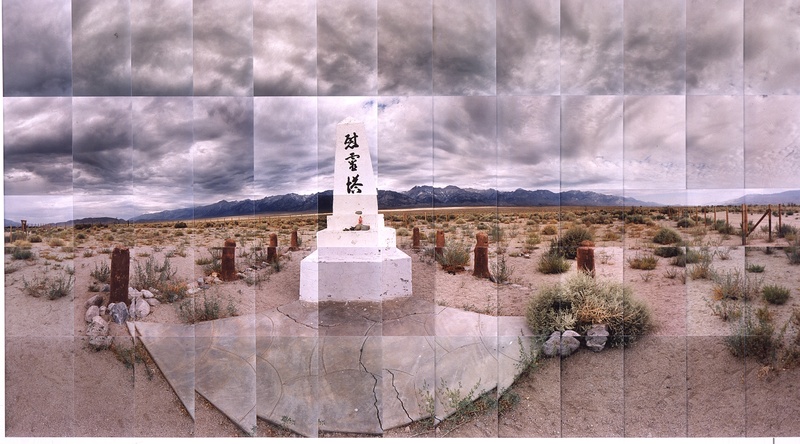 The exhibit features works by Dr. Masumi Hayashi, on loan from the permanent collection of the Japanese-American National Museum in Los Angeles, including Manzanar Relocation Camp, Monument (Version 1), Inyo, California, 1995, Manzanar Relocation Camp, Tree View, Inyo, California, 1995, Heart Mountain Relocation Camp, Blue Room, 1995, Manzanar Relocation Camp, Guard Gates, Inyo, California, 1992, Gila River Relocation Camp, Dog Grave, Gila River, Arizona, 1995, and Gila River Relocation Camp, Foundations, 1990. Son of Masumi Hayashi, Founder of Masumi Hayashi Foundation, webmaster of masumihayashi.com, masumimusuem.com, and masumihayashifoundation.org. Veteran web applications developer, scholar, philosopher, art lover. Masumi Hayashi at Tregoninig and Co. in Cleveland.